Summertime in Charlotte, North Carolina can get pretty hot, and probably the best way to beat the heat is to find the closest pool. If you're looking for somewhere to escape the sun or just a pool to work out in for fitness, there are a variety of options in Charlotte. There are free spraygrounds at several parks, a pair of $1 public outdoor pools, the Aquatic Center Uptown, an indoor water park, and even YMCA water parks. Outdoor pools are open Memorial Day to Labor Day, while the indoor facilities and spraygrounds are open year-round. Admission is $1 per day, all summer long. Double Oaks Pool, 1200 Newland Rd. Cordelia Pool, 2100 N. Davidson St. Both pools offer free swim lessons. Registration is every Wednesday in person beginning at noon and is for the following week only. Several Charlotte-Mecklenburg parks now have spraygrounds: outdoor playground areas with water features where children can run, jump, or just sit and enjoy the water. Since they're located in public parks, there is no charge for admission. Ray's Splash Planet (215 N. Sycamore St.) is an indoor water park that began operation in 2002. It quickly became a summertime favorite for many Charlotte-area kids and has won numerous local awards. 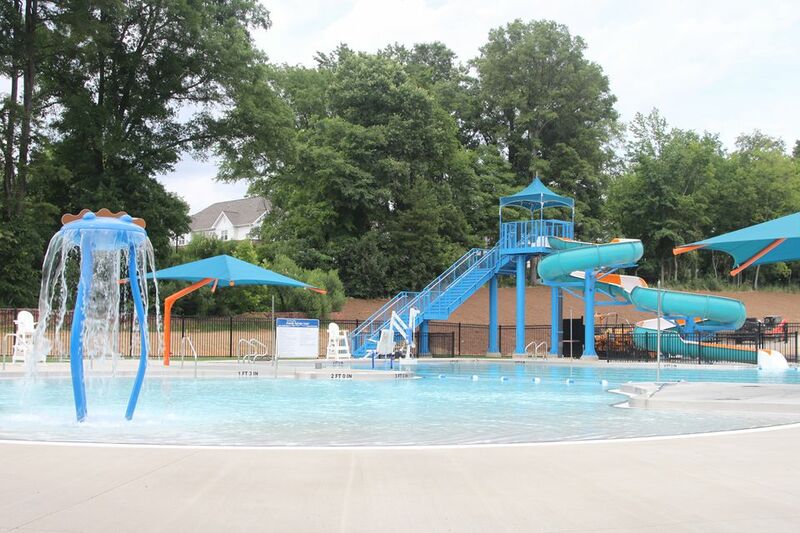 The park, owned and operated by Mecklenburg County Park and Recreation, has a lazy river, a three-story slide, climbing towers, spray stations, water basketball and volleyball, waterfalls, and hours of summertime fun. There's also a full-size fitness room on site with aerobic equipment and weights. The facility is also available for birthday parties and group outings. The county Aquatic Center (800 East Martin Luther King Jr. Boulevard) consists of a 50-meter competition pool, a 25-yard therapy pool, a fitness center, a hot tub, and more. Since it is geared more towards fitness, there is a lane swimming schedule. The times when the lanes are reserved for lap swimming do change, though. Usually, more of the pool is "lane swimming" in the early morning or late evening hours. Be sure to check the lane schedule to know how to plan your visit. Did you know the YMCA has more than just pools for fitness? Several locations in and around Charlotte have outdoor water parks, complete with towers and slides. For more information on any aquatic area in the city, visit the county's Park and Rec's Aquatics page. The county offers indoor and outdoor swimming, adult/youth programs, swim lessons, special events, fitness classes, and water exercise for all ages.